Description Everything you need for that perfect night out! Get over 20% discount on this special WUNDER2 Perfect Night Out Combo. 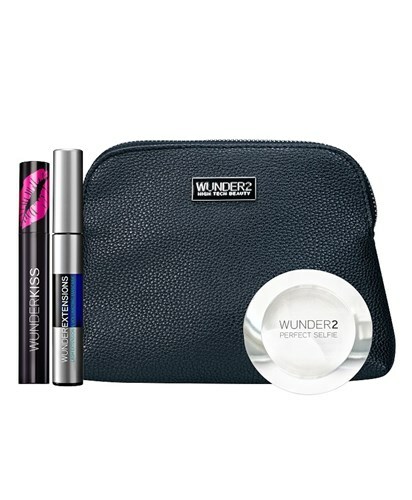 Get one each of WUNDERKISS, WUNDEREXTENSIONS - VOLUMIZING MASCARA, PERFECT SELFIE POWDER & A FREE WUNDER2 COSMETIC BAG!